We came across a small feral swarm this weekend. 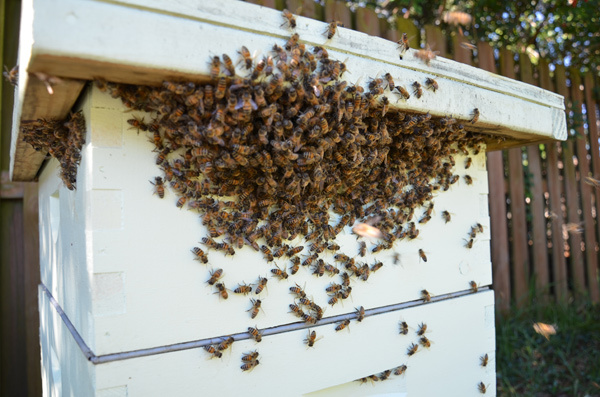 At first we weren’t sure if maybe the bees came from one of our hives, so we did some checking. 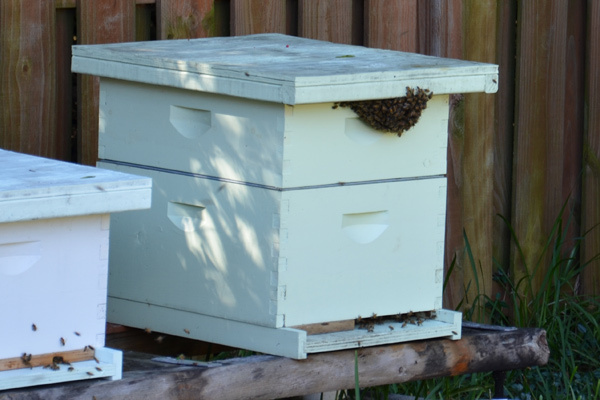 All hives have a queen? Yes. Any swarming queen cells? No. Are we in swarming season? No. 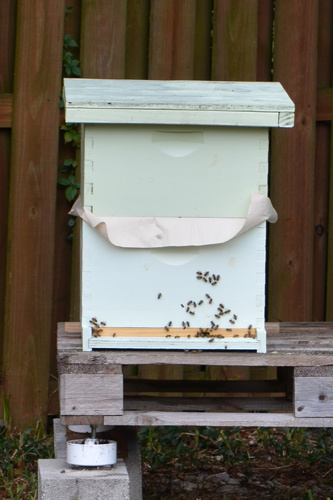 After we determined that all of our hives looked okay, we noticed something else. There was a battle going on with 2 of our hives. Bees were fighting and dropping to the ground. 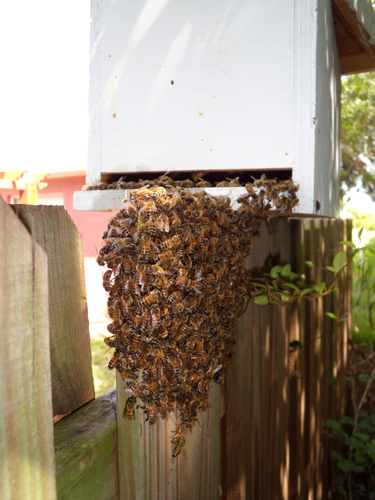 We could only theorize that a feral swarm decided to setup shop nearby, possibly attracted by the smell of our hives, and then they tried to invade our hives. They could have been looking for shelter or to steal honey. We tried to catch the swarm, but they kept moving around. They would gather on our fence and then move up into the tree, then back to the fence and back to the tree. The swarm when we first saw them on our fence and tried to catch them. 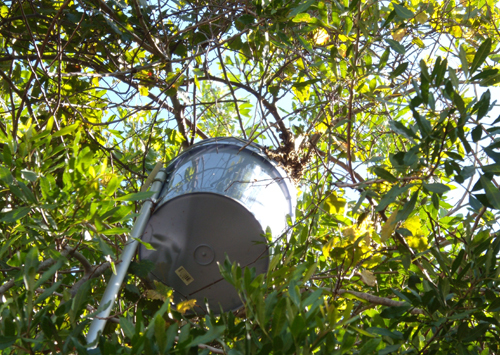 This is when they decided to go up in the tree and we tried unsuccessfully to catch them again. This video is when the bees left the fence and flew up into the tree.